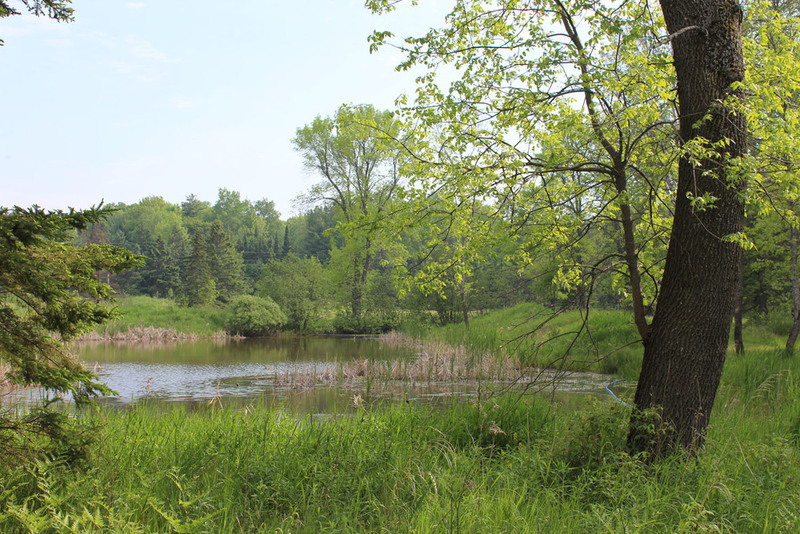 This rare inland parcel overlooks the beautiful grounds of the Madeline Island School of the Arts. Madeline Island Wilderness Preserve borders two sides. Complete with a watering system. Electric is already hooked up to a pressure tank which waters the surrounding gardens around the ponds.